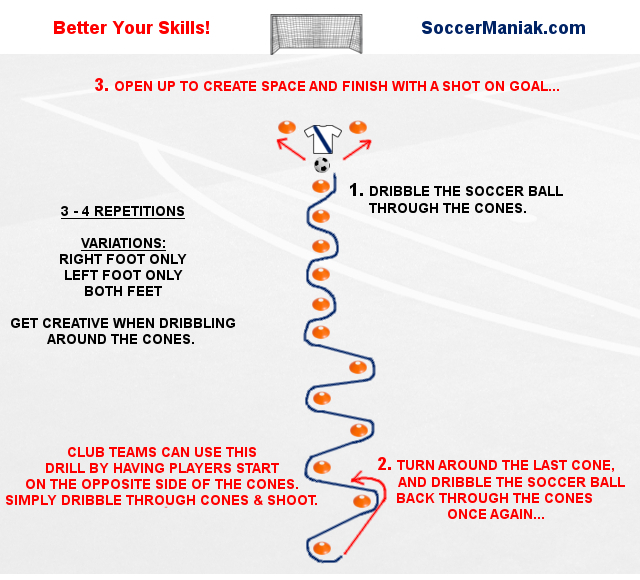 Beginner soccer player drills should be fun and entertaining. 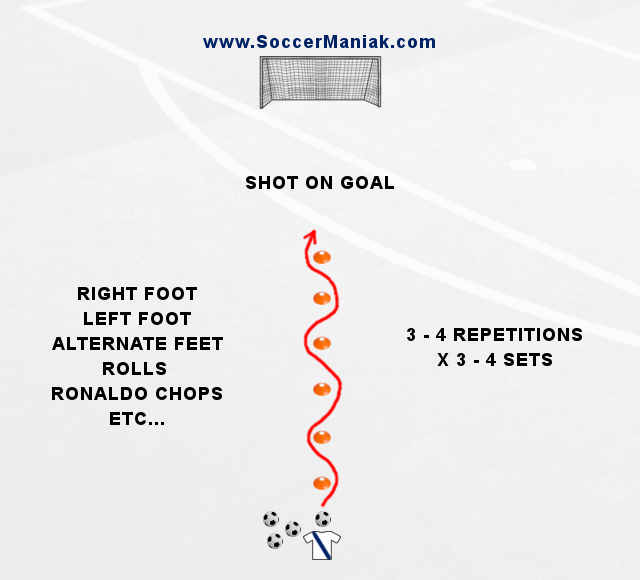 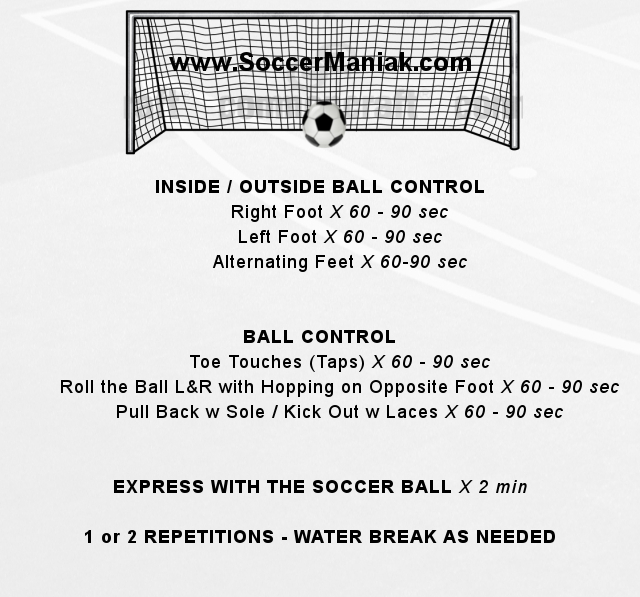 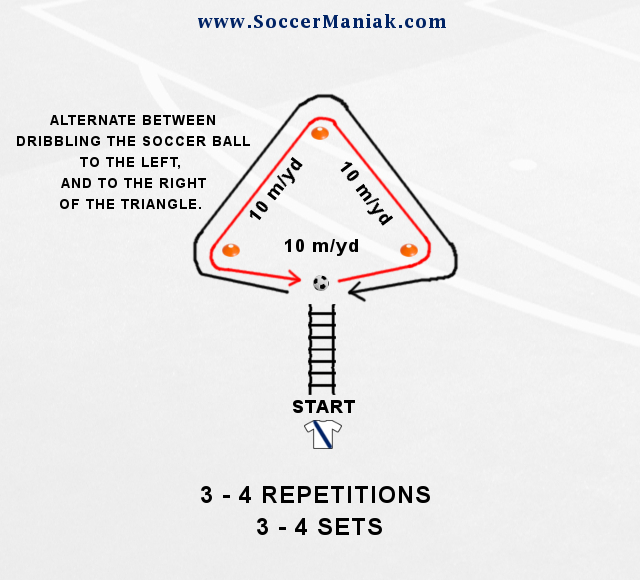 This soccer drill is simple and every player needs to have a soccer ball before the drill is started. 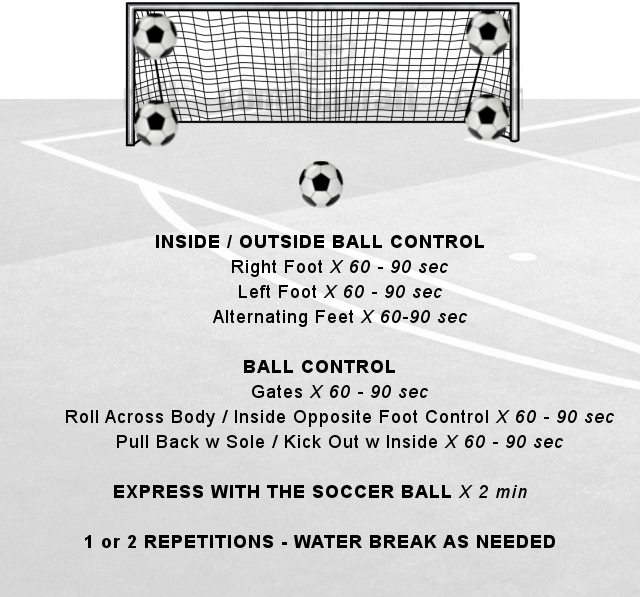 Make a grid however you would like and give kids simple instructions. 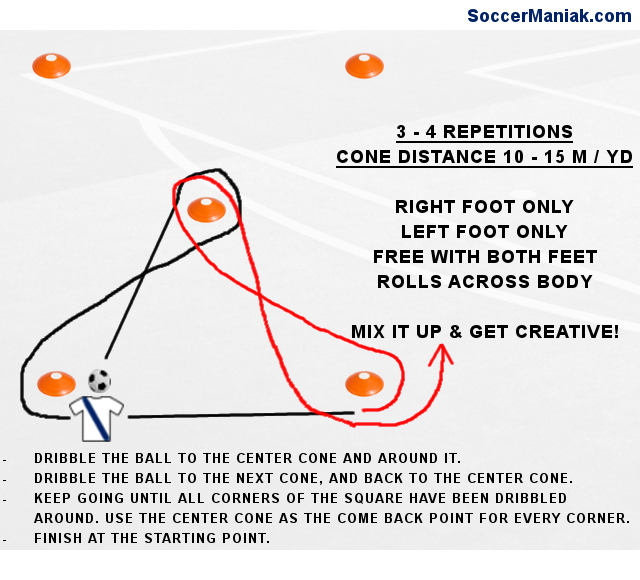 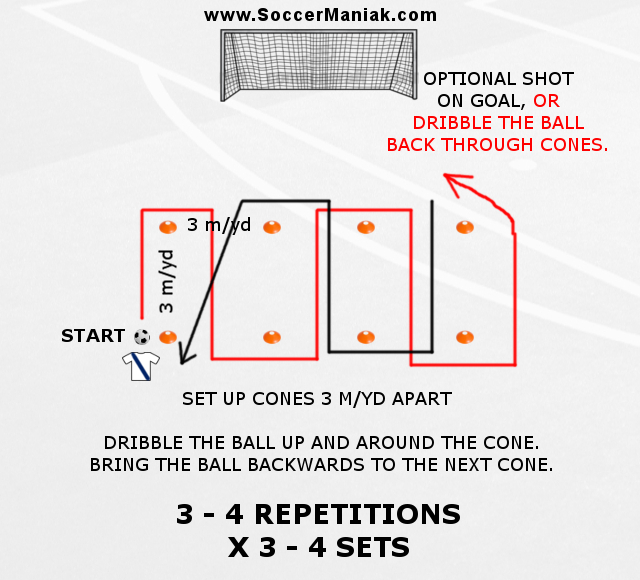 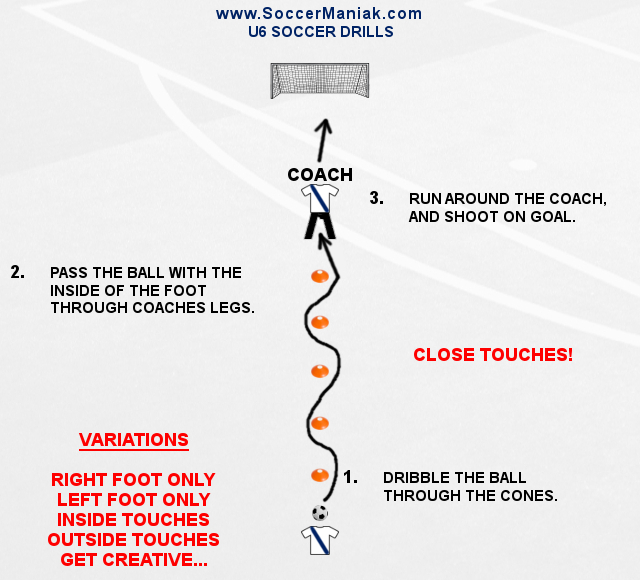 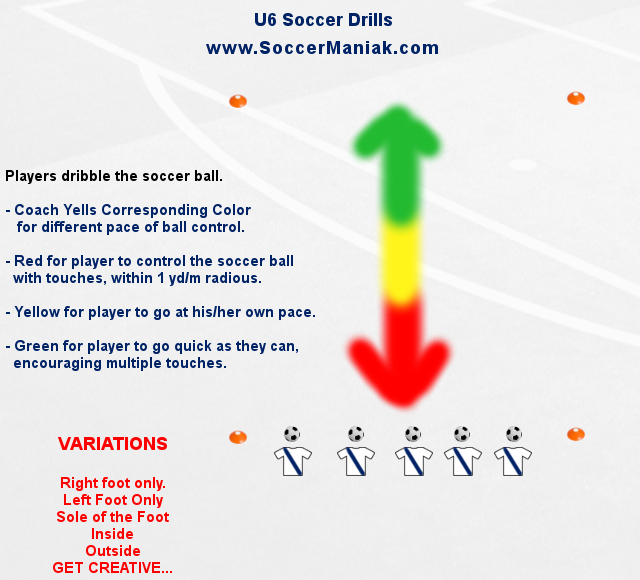 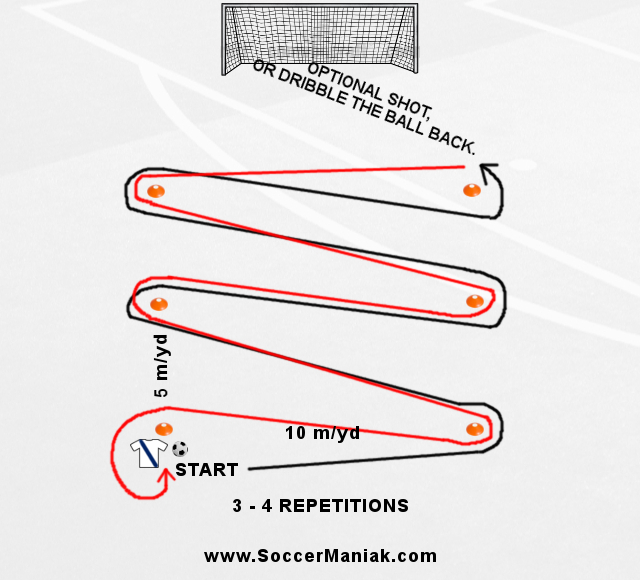 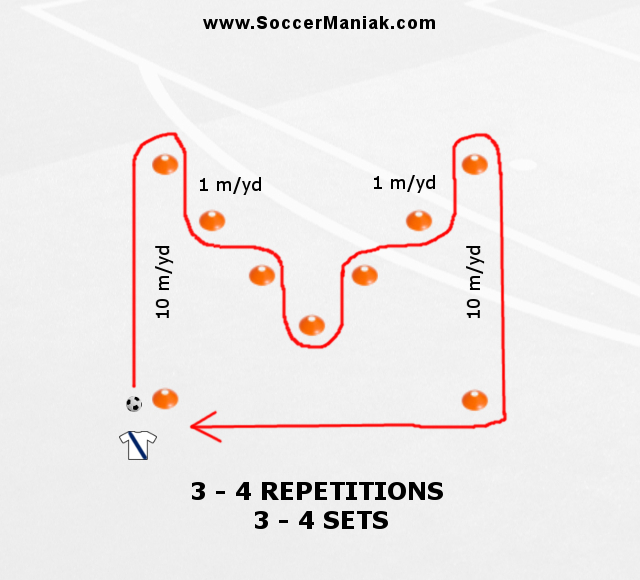 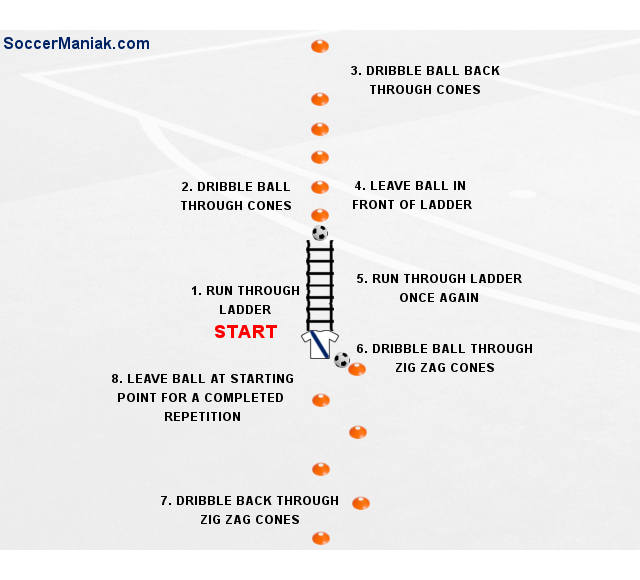 Dribble the soccer ball with 2 short touches on the ball, and 3rd long touch on the soccer ball. 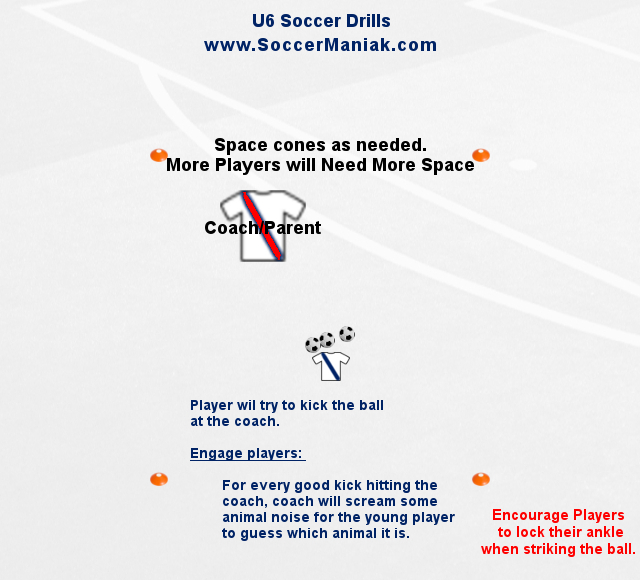 Encourage them to yell “short, short, long” as they dribble the soccer ball. 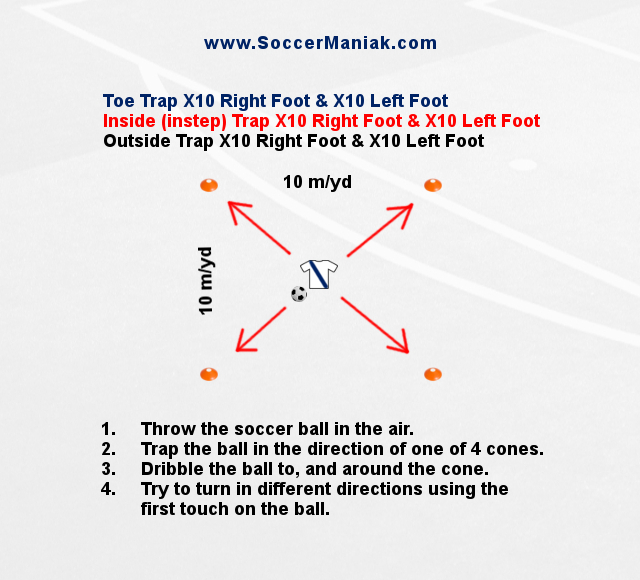 Short touches should be keeping the ball close to their foot. 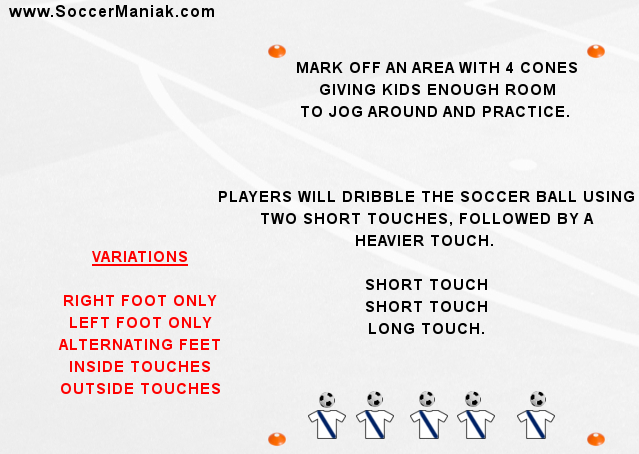 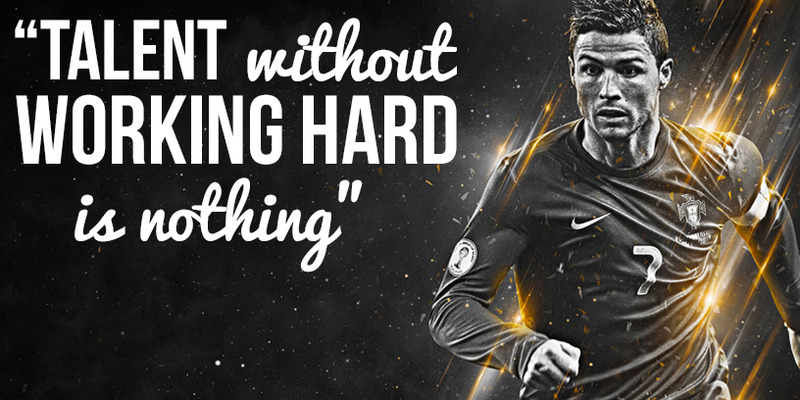 Long touches can be allowed as hard as they want, or limited to 1 or 2 m/yd touches in front. 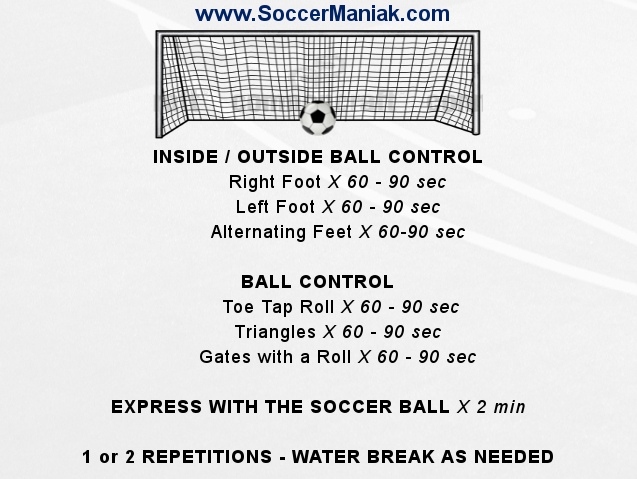 Keep the exercise going for 60 – 90 sec, repeat 3 – 4 times.